Ok, ok, I know it's August now, not July, and we are far from Christmas, but I attended Carluccio's Christmas in July event and so wanted to wish you all an early "Buon Natale" and share some of the products I saw at the event. I have always wanted to experience an Italian Christmas, because it just seems to be all about the food! This was evident at the Carluccio's Christmas in July Press Show. 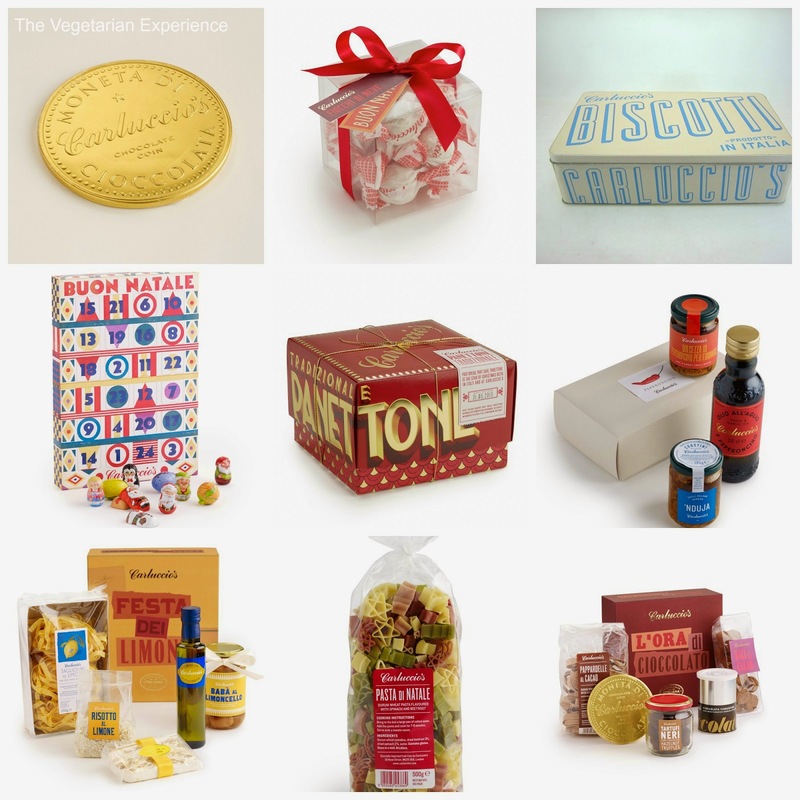 Inspired by Napoli and it's Neopolitan style, Carluccio's Christmas range includes products from all over Italy, including cakes, biscuits, confectionary and gift boxes featuring pasta, oils, coffee and other Italian products. The event started with an ice cold, freshly squeezed Lemon Granita, which was just delicious and much needed after a journey on the hot tube! 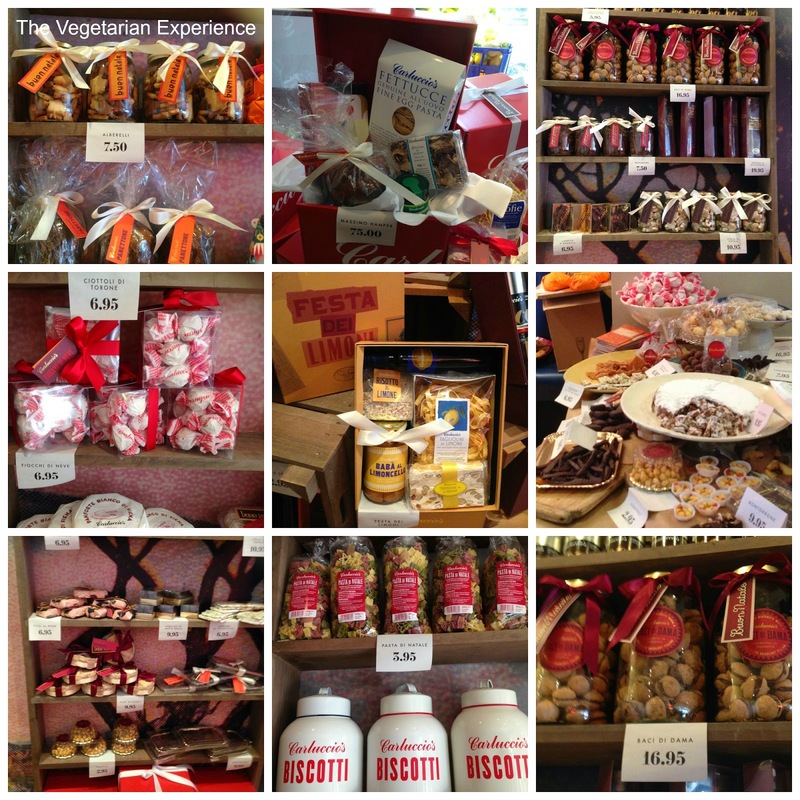 We then got to sample some authentic Italian summer grub, as well as the Christmas range, including delicious sweets made with nougat, nuts, and candied fruits, and some of their gloriously crunchy biscotti. "No Panettone, No Christmas" - seems to be the phrase Carluccio's cites during the festive period, and so if you want to impress your guests at Christmas, or give a great gift for Christmas, the Panettone Tradizionale is certainly a major contender. Part bread, part cake, and made with dried fruit and candied peel, this is as much a staple of a grown-up Christmas as the big man in the red suit is for the kids. I know what will be adorning my table this Christmas season! Carluccio's gifts are a great option for Foodie Fanatics in the family, and also perhaps for those people who have everything, and don't need another wash bag, or soap on a rope! The Christmas range will be available online and in Carluccio's stores from the 21st October. I will certainly be popping along to my local store to take a look, as there is something for everyone there!